Thank you for making the brown mooshroom model and the new squid model looks awesome. Great job. Have a mod suggestion: Primitive Mobs' mother spider and babies. Don't think it would be too much trouble giving the mother spiders the same texture and the baby spiders are just smaller and have a different color to them. Are you able to make this mod as a resourcepack? Well if you make a RP yourself, sure. But if you mean make these models "share" the vanilla mapping schema, not possible, sorry. Okey, but Thanks for the Answer! Cyber, any chance of that hinted ‘Twilight Forest’ compatibility update? I asked on the Discord, she said possibly. can you add sharks to the better animals plus? You're in the complete wrong comment section - but it depends. Not fully decided on future animals and such. Makes Sense When your a developer of the mod? This level of detail isn't possible with resource packs (especially in reference to rotations, since the RPs can only take one of 5 possible rotations and only across one axis), and that I dislike optifine due to how badly it acts with other mods. You are amazing doing these models of mobs! I have a question if the monsters will have better models too? and will they have all to create a better model? Possibly later, for example I do plan on the 1.13 phantom mob once we get a 1.13 forge, and I've thought about doing the skeletons and ghast too. However more abstract things like blazes and creepers, not sure. Blazes could be phoenixes? Creepers could be bush-shrub-tree things? when will they change the horse and llama model ? and also rabbit? oh. Alright, im ready to wait for 7 days for it. Sorry, but you may be waiting longer than that. I also work on a few other mods and have school, but llamas and possibly rabbits are planned and will come eventually. The main reason that Mojang changed the horse model is because the original model was borrowed off of Mo’ Creatures, so they wanted something to fit in with ‘their’ game. 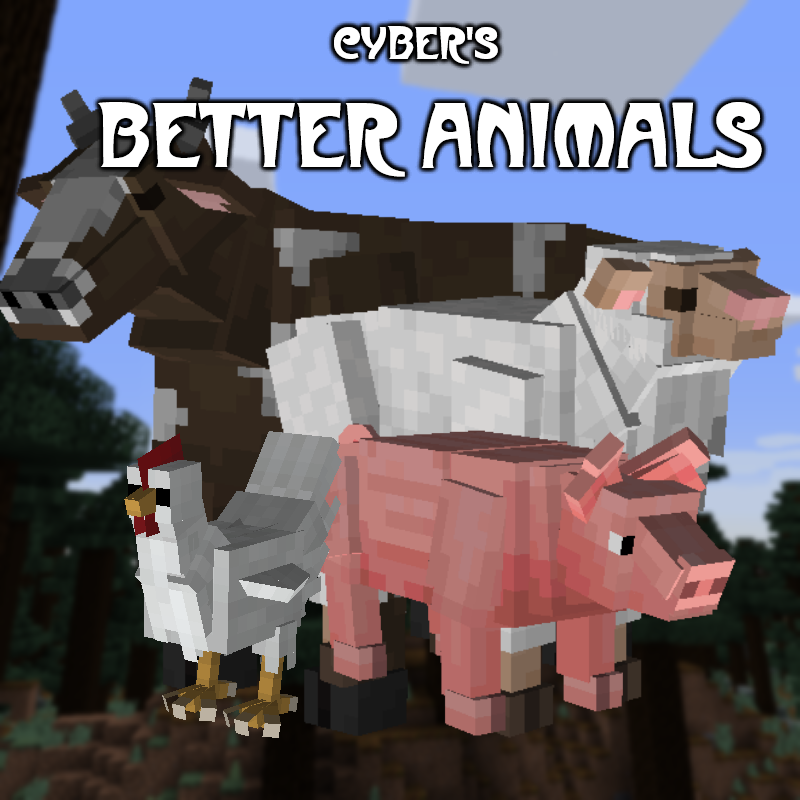 Still, I think they should’ve kept the original model and improved all of the other animal models, like this mod does!